It is said that you can't know where you're going if you don't know where you've been. Here is a compilation of Island lore and facts, and a look at P.I.E. 's role in our past. “We have all heard different versions of our island’s beginning – who platted Palm Island Estates; why so many names for the island; was the bridge from the mainland destroyed by a hurricane? And so, another story. In 1957, two individuals by the names of Bland and Pruitt, who owned a lumber company in Georgia, purchased a parcel of raw land on the island. They subsequently platted over 550 lots, and a road system, and recorded the subdivision with the County, naming it Palm Island Estates. During 1957-59, Bland and Pruitt continued their development by installing utilities in Units 1, 2, and 4, and constructing three bridges. The first was a small bridge which crossed Bocilla Lagoon and connected the back side of Unit 4 to the Gulf side. The second, larger bridge joined Knight Island to Don Pedro Island, which was separated by the then open Bocilla Pass. The third bridge was built to connect the island to the mainland, and was adjacent to where the current ferry operates. All three bridges were constructed of creosote heart pine. 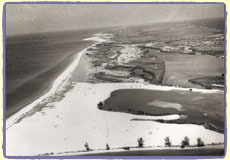 The developers also dredged and widened Kettle Harbor and Bocilla Lagoon, as well as dredging the new canals, now commonly known as the "T" Canal and the Block "J" Canal. Properties began to sell, and seven cement-block, on-the-ground homes were built. They included two models. It could be presumed that the island would build and develop out much the same as Manasota Key and other neighboring keys. A way of life had begun on the Island – but not without change. D.G. Bland & James A. Pruitt, Jr. envisioned their Island subdivision as an upscale community of waterfront homes on oversized lots. 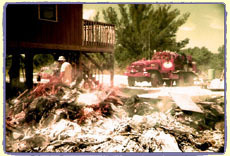 In 1957, Pruitt incorporated Palm Island Estates, Inc. to develop Unit 4, the last and final phase of P.I.E., and registered a set of deed restrictions for P.I.E. that were in effect for 30 years. No tents, no trailers, no temporary buildings, no poultry, no shrubbery taller than 3 feet. Gulf-front and bayfront homes were required to have “a minimum floor area of 1,000 feet” (a minimum of 900 feet for “inside lots”). The developers figured that P.I.E. was destined to grow and fill with homes quickly. But the removal of the bridge to the mainland changed all that. For many years, the Island remained a quiet, rustic community, accessible by boat only. 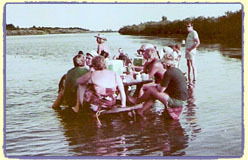 In 1980, a group of homeowners formed the Palm Island Estates Association, Inc. “for the preservation of the natural environment and ecology of Knights and Don Pedro Islands.” Voluntary membership included lot owners in the four units of the P.I.E. development, as well as any person to have occupied a dwelling in the development in excess of twelve months. Island growth took off soon afterward. A Plan of Development for the Palm Island Resort was approved in 1980, Palm Island Transit was transporting building materials via ferry in 1982. That same year, Colony Don Pedro began with Phases I, II and III. Palm Island Resort opened to the public in 1983. Visitors to the Resort would park on the mainland, and would take one of two transit boats to the Island, “Palm Island I” and “Palm Island II”. Luggage would follow on the barge. For a time, Palm Island had a trolley that ran up the hard road moving visitors to their Resort destination. More development created a need for more services. 1982 was the year that the Island all-volunteer fire brigade was established, with the first fire station set up on the “common lot” between the bridges. 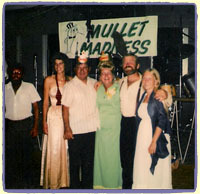 Around 1990 Bocilla Utility, Inc. was created, serving the Island south of the Palm Island Resort. By 1982 “Island Transit”, run by a local entrepreneur, was transporting Islanders from Panama Blvd. to the Island via a “people ferry”. Six years later, Island Transit merged with Palm Island Transit, which had grown into a daily ferry service transporting vehicles to the Island. Between 1986 and 1988, two more phases of Colony Don Pedro (IV and V) were developed, along with Pointe Bocilla and The Beach Place. 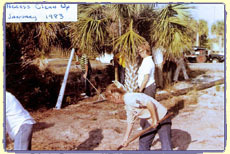 By the end of 1990, three more were platted: Bocilla Beach to Bay, Rum Bay Preserve and Sabal Palm Pointe. The Islands also had a new fire station, Station 10, built on Gasparilla Way in May of 1990. Hidden Cove Estates and The Preserve at Don Pedro were platted in the 90’s. By 1992, the original wooden bridges on Don Pedro needed replacing, and the Anne Merry Bridge and the Michael Kosinsky Bridge were re-built. Both bridges have been rebuilt again since. It is interesting to note that New Pass Haven on Thornton Key was the earliest subdivision on our Islands, platted in 1922. The next subdivision to be developed on Thornton Key, Hel-Lew-Ah Isles, was not platted until 50 years later. Despite being the first "discovered", Thornton Key is still the least built out relative to the volume of lots. In 2004, the Bocilla Islands Conservation Foundation, Inc. was established and soon afterward 30 lots in New Pass Haven were deeded over to the County for preservation. P.I.E. remained central to Island life through the years of change. Recognizing that not all future members would be owners in the P.I.E. development, membership was expanded to include all of the Island subdivisions. The Association was re-organized to promote cooperation among lot owners and property owners on Knight Island, Don Pedro Island, Palm Island and Thornton Key. Its goals were to offer a representative voice in civic and community affairs and to provide for the mutual welfare and improvement of all of the islands. P.I.E. remained a voluntary homeowners’ association, and by 2005 had nearly 200 members. And it’s still true to this very day, Anne. Thank you. **written by Island neighbor Anne Merry, from a 1995 P.I.E. newsletter. Reprinted with permission from the author. 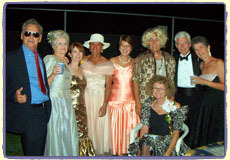 March 2004: "Senior Prom Dinner Dance", a fundraiser for P.I.E. "The Burning of Mount McCabe" 1984: Back in the day, a $100 donation to the Firehouse got you a controlled burn to get rid of building debris.